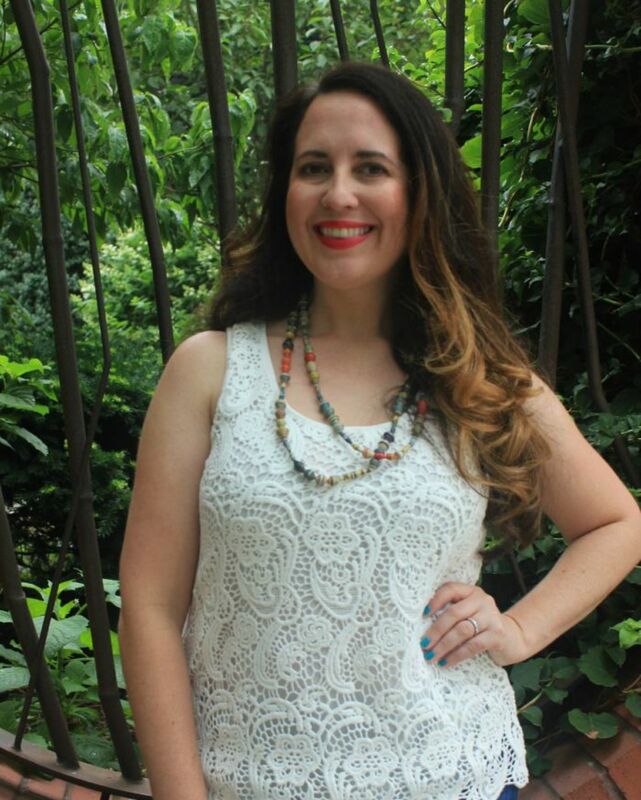 When I saw the lovely Bobbin Lace Top from CAbi , I knew I had to have it. Not only would it look lovely all dolled up, but I knew it would take my ordinary summer date night go-tos, skinny jeans and sandals, up a notch.And that&apos;s just what I styled it with. 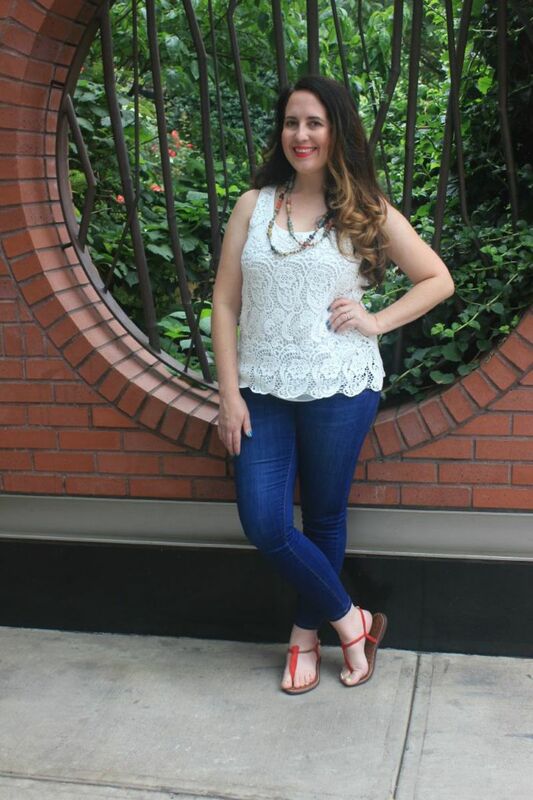 Dark rinse skinnies and my new brick red Sam Edelman Gigi sandals were a perfect fit for my CAbi lace top. I finished off the look with my beloved African bead necklace. When I&apos;m picking up new pieces in the summertime, I try to select ones that will work in the early fall, so I can get the most possible wear out of them. I&apos;ll be able to sport this lace top under blazers, dress slacks and more around the holidays for instance. The possibilities are endless! The same goes for the sandals. I&apos;ll be able to rock that fall perfect color until the temps get too cold for bared tootsies. And since I&apos;m in Florida the majority of the time, it should be a while before that happens. Haha! I&apos;m all about a good transitional wardrobe. Just sayin&apos;. So, how do you feel about lace lovelies? Are you bringing it out to play this summer too? Momtrends was not paid for this post. We were given a denim sample. This post may contain affiliate links. By clicking and shopping, you help support Momtrends and allow us to keep reporting on trends.